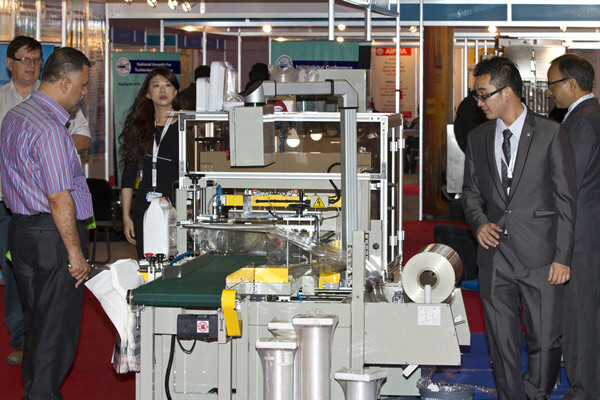 The upcoming Plastivision Arabia international plastics exhibition and conference is set to bring a host of new machinery and equipment to the region that will help plastic processors gain a competitive advantage in the marketplace. The third Plastivision Arabia 2016, to be held at Expo Centre Sharjah from February 22 to 25, will showcase leading global manufacturers and several technical innovations that can generate outstanding output with minimum power consumption and faster return on investment, said a statement. Polystar is one such international major that will exhibit its blown film extrusion and recycling lines including Eco-Flex, the ABA (three-layer) blown film technology that produces a thinner, stronger film at substantially lower production cost. “Plastivision Arabia has come to be known for introducing a wide range of new technology, which has found ready takers in the region. In fact, Plastivision Arabia has acquired a unique reputation for seeing all its machines and equipment on live display being sold even before the show comes to an end,” said Saif Mohammed Al Midfa, CEO, Expo Centre Sharjah. “Regional plastics processors have readily accepted anything that helps them cut down the usage of virgin raw material and thus reduce production cost. For film producers, the ABA blown film technology is a great replacement of monolayer machines,” Midfa added. In the region, blown film extruders mostly are mono-layers, and industry observers point out that converters are currently investing in new multi-layer extrusion processes. ABA is extremely competitive for manufacturing garbage and shopping bags, shrink film (for bottle wrapping), construction film and T-shirt bags, among others. Technically, in ABA type film, the outer and inner layers will be of the same polymer fed by the same extruder and a middle layer will be of a different polymer that will be fed by a second extruder. A high percentage (up to 50-70 per cent) of calcium carbonate compounds or recycled material can be used in the middle layer of the film, thus cutting down the usage of virgin raw material and reducing production cost. Visitors to the show will be able to see live how the ABA blown film technology works and order the machines directly. Polystar, which is a globally recognised machine manufacturer of plastic recycling, blown film extrusion and sealing machines in Taiwan, will also provide high-level of customisation, depending on the requirement, space and budget of prospective clients.